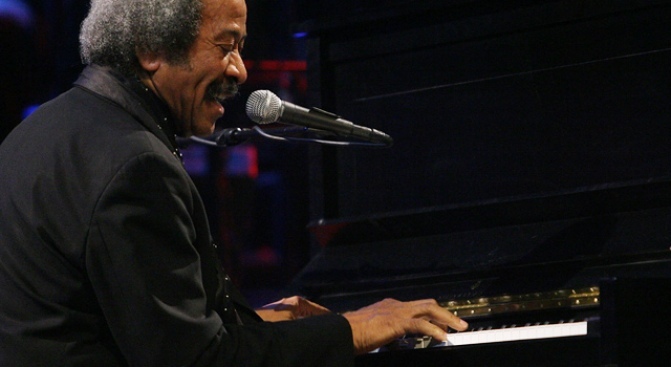 Piano royalty Allen Toussaint plays the Vanguard. BACK TO BASICS: NOLA pianist Allen Toussaint has written hits for the (disparate) likes of Lee Dorsey and Devo, but he's never dug into the rich jazz traditions of his hometown -- until now. Critics agree that his redo of early chestnuts like St James Infirmary on his CD The Bright Mississippi is deft indeed; when he brings the album to the live stage at the Village Vanguard this week with the Bright Mississippi Band, it should be a magical thing. 9, 11PM; through 5/24. 'TARDY: Mike Albo, Nora Burns and David Ilku are UNITARD, a comedy trio that's almost impossible to pin down or explain, other than to say that they skewer everything from psychics to fashion designers to YouTube to the recession, and everybody pretty much agrees that their brand of twisted, caustic wit rocks in a very refreshing way. Joe's Pub, 9:30PM. SCHOOL'S IN: By now, the annual Joey Ramone Birthday Party is a much-loved and-respected tradition. A full marquee of punk-rock notables -- from Fishbone to Uncle Monk via Bebe Buell and (of course) Richie Ramone -- gathers to pay tribute to the late musician at the Fillmore at Irving Plaza. Even though the guest of honor succumbed to cancer eight years ago, expect the atmosphere at this bash to be joyful in the extreme. 7PM.